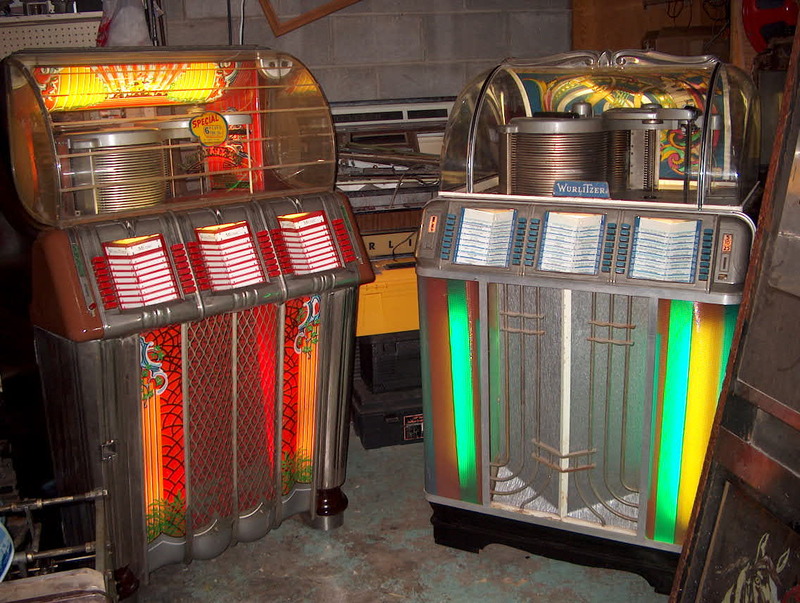 Over the years, I have repaired or restored many jukeboxes. They have included ones from the 1930's up to the present day. Click on the links below for pictures of some of the machines I have worked on. Pictures have not been taken of all of the machines. Email or phone me [613-544-4194] if you would like more information. Wurlitzer 1250 (left), Wurlitzer 1400 (right). Both restored 2003.